Description: Smoke billows from one of the many factories that repurpose coconut husks into coal near the Mekong delta’s town of Ben Tre. Coconuts grow in abundance in the Mekong Delta region and in recent years the value of repurposing them in energy sources, sound proofing and mulch have formed a booming industry. 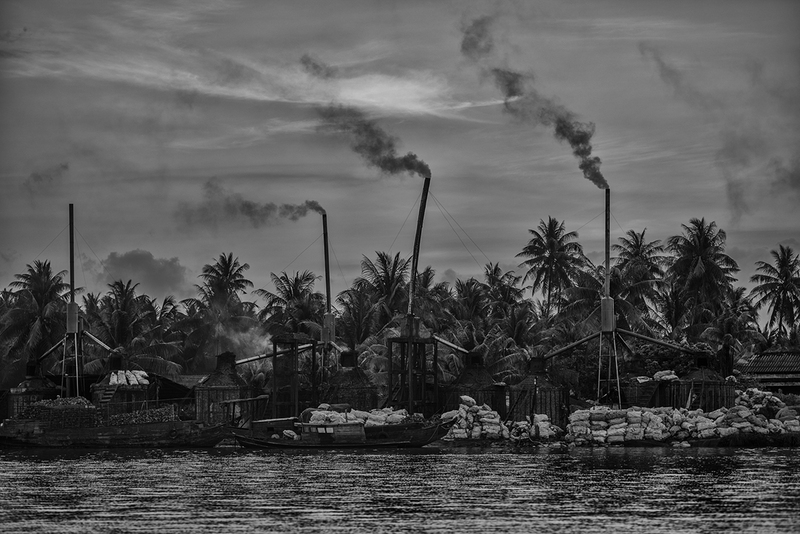 Caption: Smoke billows from one of the many factories that repurpose coconut husks into coal near the Mekong deltaâ€™s town of Ben Tre. Coconuts grow in abundance in the Mekong Delta region and in recent years the value of repurposing them in energy sources, sound proofing and mulch have formed a booming industry.